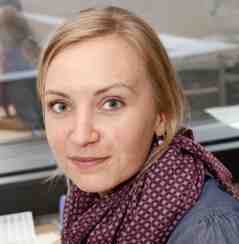 Researcher at Centre for Schizophrenia at Aalborg University Hospital, Denmark. Sofie Gry Pristed is a researcher at Centre for Schizophrenia at Aalborg University Hospital Psychiatry with a concentration in epidemiological research. Her major research interests include schizophrenia, pharmaco-epidemiology, quality of life and immunology. Her educational titles includes Biomedical Laboratory Scientist, MCs (cand.scient.san) and PhD. The PhD dissertation is entitled Epidemiological and Clinical Aspects of Anthropometry Implications for Health-Related Quality of Life. She has presented results at congresses in Washington D.C., Phoenix Arizona, Stockholm and Copenhagen. In addition to research, Sofie works as external examiner at the Schools of Biomedical Laboratory Scientists in Denmark. Schizophrenia, Quality of life, Treatment, Co-morbidities, Epidemiological studies.